Grant Verstandig of Rally Health is trying to put health back in the consumer’s hands. At the risk of inducing hives, I would like to ask you to take a moment to think about your health care plan. Do you know all the benefits you’re entitled to? Do you know if you have a health savings account, and if so, how much it contains? Do you know if there are steps you can take to reduce your premium and what those steps are? If you’re shopping for a new plan, do you know if you should get an HMO, a PPO, or a point-of-service plan based on your biometrics, prior family history, location, income? Do you even know your biometrics? If you answered no to any or all of these questions, you’re not alone. The $3 trillion U.S. health care industry is unfathomably complex, and has only become more so with the introduction of the Affordable Care Act. Theoretically, the ACA sought to induce a shift from a fee-for-service model, incentivizing so-called “sick care,” to a model based primarily on wellness and prevention. In practice, the ACA falls short in completely establishing the means for a new health care paradigm, leaving ample space for tech-savvy startups with lofty ambitions of disrupting the industry by simplifying how it operates, encouraging wellness behaviors, and tracking and contextualizing data. One of these is Rally Health, a digital health company that’s trying to spear the white whale of the heath care industry: patient engagement. 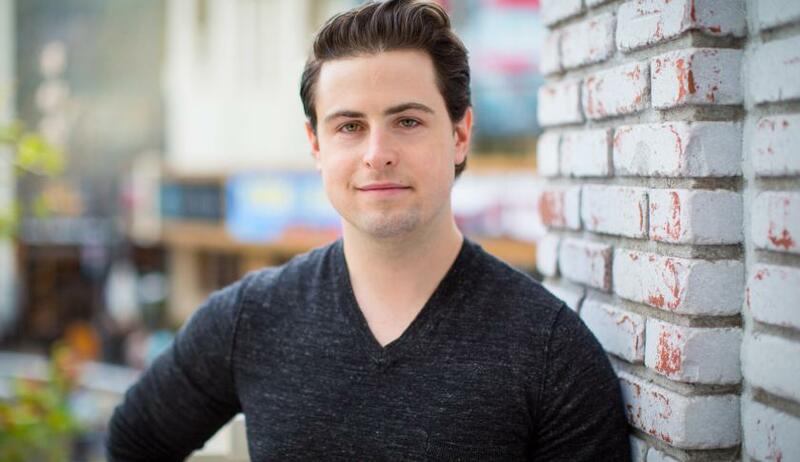 Founded in 2010 under the name Audax by a 21-year-old college dropout named Grant Verstandig, Rally raised more than $55 million beforeinsurance giant UnitedHealth Group acquired a majority stake in 2014. By then, Verstandig had assembled an impressive executive board, including John Sculley, former president of Pepsi-Cola and CEO of Apple; David Ko, late of Zynga and Yahoo; and Dr. John W. Rowe, former chairman and CEO of Aetna. Verstandig, 27, is an unlikely tech entrepreneur. A neurobiology major and avid lacrosse player, he was a freshman at Brown University when a chronic knee injury flared up, eventually requiring surgery. He figured he’d be back on the field before long, but the initial operation led to another, and then another, and then another–until, by the spring of his sophomore year, he’d undergone seven knee surgeries, including a meniscus transplant. His doctor told him that not only would he never play lacrosse again, he’d be lucky to walk in a straight line. This compounds the second core problem with the health care industry: inefficiencies which cause prices to balloon year over year. According to the World Health Organization, the United States spent more on health care per capita ($8,608), and more on health care as percentage of its GDP (17.2%), than any other nation in 2011. Making the system more efficient would go a long way toward making it more cost-efficient. By April 2010, Verstandig had dropped out of school, moved home to Washington, D.C., and begun raising capital to fund his idea for a digital health company that would seek to put health in the hands of the individual. He tapped every potential contact and estimates he was turned down by 70 VCs, but eventually, the idea began to take hold. That idea is quietly revolutionary: rather than coming in to disrupt the entire system, Rally is seeking to work within the existing health–care infrastructure, offering programs and resources that empower consumers, connect them with insurers and providers, and cut through the bulwark of inefficiencies that often stand in the way of people and proper, affordable care. The most scaled product is Rally Engage, which provides personalized recommendations for wellness behaviors and is available through employers or insurers. It begins with a comprehensive health assessment–the same longform assessment you take whenever you visit a new doctor, now simplified to the ease of an online quiz. Consumers can complete missions (simple personal goals, like walking 10,000 steps per day or getting a flu shot) and challenges, connect with live coaches, join online forums, and earn rewards in the form of a virtual currency that’s similar to a credit card or airline miles points system. Employers can also offer financial incentives in the form of premium credits or reductions, HSA donations, and bonuses. The idea is to help employers understand the health of their employees and improve it. “It sounds simple, but we’re just connecting the dots,” says Rhett Woods, Rally’s chief creative officer. Another product — Rally Connect — enables consumers to comparison shop for doctors, treatment facilities, specialists, and other care providers with a robust search engine with more than a dozen filters (location, language, gender, cost, quality, network, and so on). There’s a guided search feature, comprehensive price estimate and a consumer ratings field–think of it as Yelp plus Google for finding the right care. But its third product, Choice, tackles the most obvious and readily fixable industry inefficiency: its over-reliance on paper and fax. Choice guides users through the enrollment process, allows them to re-enroll yearly via web or phone, and makes it easy to research your plan, understand the different benefits options available, and supplement it with ancillary coverage (e.g. dental, vision, and financial protection programs). Crucially, it also provides tailored, smart feedback and recommendations, based on prior usage, impending life events, and your overall wellness. That’s allowed Rally to grow from 90 employees at the time of acquisition to the current 400, spread across offices in Washington, D.C., San Francisco, Chicago, Minneapolis, and Denver, and with varied backgrounds in health and technology that account for Rally’s ability to navigate both industries. But the company doesn’t appear to have lost any of its initial pluckiness or missionary zeal, which comes back to its founder. Talk to anyone around Verstandig, and they’ll extol his focus and his open-minded, egalitarian leadership style. When Dr. Rowe first met him, he was skeptical. (“He’s taking on patient engagement—it’s like climbing the Matterhorn.”) But Verstandig continues to prove he has the focus and insight to make it happen. And along the way he’s always relied on his management team to ask what has worked for them in the past. This article was originally published on Fortune.